The HUB is finalizing rules that ban lying down and sprawling out on couches, sleeping for more than 30 minutes, using the restroom for cutting hair or bathing, and panhandling. 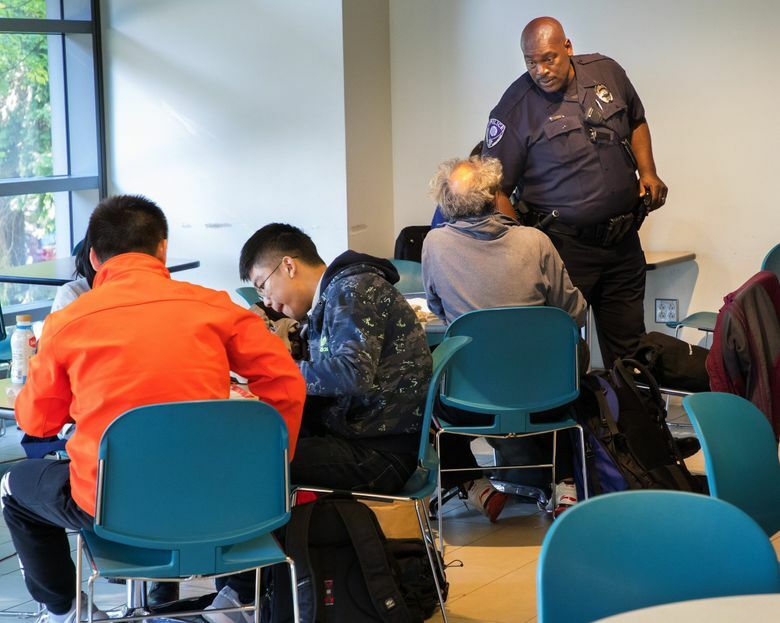 It’s Thursday morning in the University of Washington’s Husky Union Building, students are eating breakfast, and UW police officer Russ Ellis is waking people up. The HUB is a popular place for homeless youth to hang out; many walk over from a youth shelter on University Way Northeast (The Ave) to catch up on sleep in couches or by leaning over tables. Ellis tries to be gentle, asking if they’re OK, joking, learning names. Ellis taps the shoulder of one kid in a hoodie sprawled out on his stomach on a lounge chair, but the young man doesn’t want to leave, so Ellis lets him be. There currently isn’t a rule against sleeping in the HUB — but that might change soon. This fall, while the UW is trying to help the homeless people who are around it, it’s also struggling with a regional homelessness crisis that drifts onto the open campus. 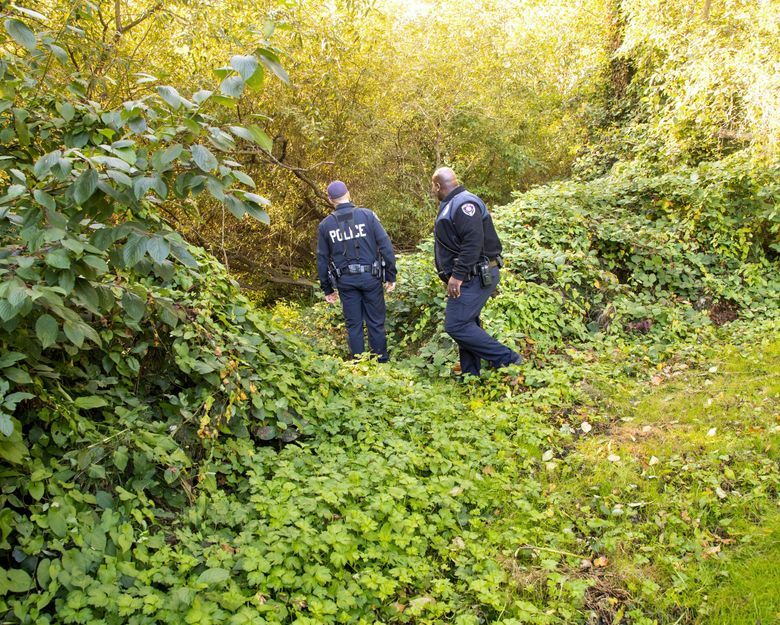 The HUB is finalizing rules that ban lying down and sprawling out on couches, sleeping for more than 30 minutes, using the restroom for cutting hair or bathing, and panhandling, according to a draft of the policy obtained by The Seattle Times. The HUB has also secured funding for a part-time security officer, according to Justin Camputaro, the HUB director. The University District is perhaps the state’s largest hub for homeless youth shelters and drop-in centers, and here, like the rest of King County, homelessness is rising. This January’s homeless count found 160 homeless people sleeping just in the business district around University Way. That’s more than six times the number counted on that same night last year. UW itself is far from disengaged on this. Last year it hosted a tent city on campus, likely the first major public university to do so. The school of dentistry and nursing have held clinics for homeless people, and UW’s Doorway Project has held events offering free food and donated clothes. The university is also completing a survey to measure the extent of its own students’ struggles with homelessness. The survey should be released this fall. 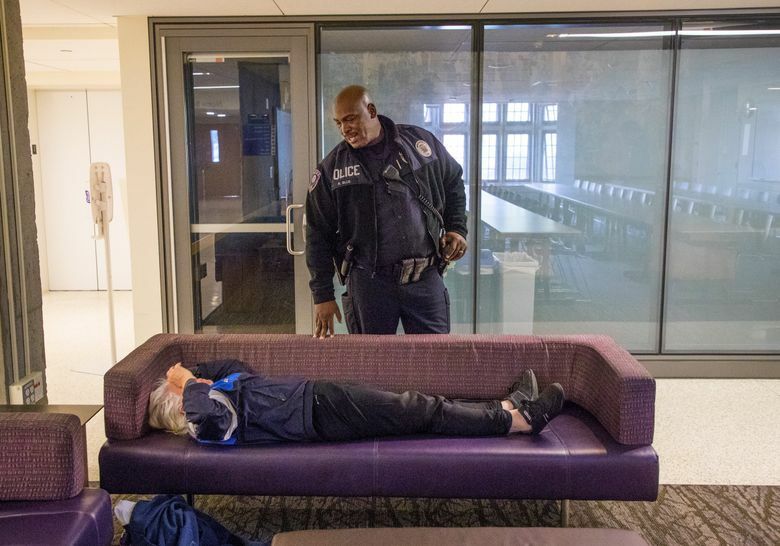 But at the same time, many UW facilities are looking at updating rules to keep people from sleeping and camping in their buildings, according to Major Steve Rittereiser of UW’s police department. People hiding until after hours and sleeping in buildings has become a problem. “Our custodians were getting surprised in the morning, finding people sleeping in the bathrooms, sleeping in the classrooms and such,” Rittereiser said. It was a felony sexual assault that pushed campus leaders to act, Rittereiser said. Around New Year’s this year, a woman who was camping in Savery Hall, home to the economics, philosophy and sociology department, was sexually assaulted on three separate days, by three men who were also camping in the hall. After that, UW faculty and staff formed a task force to improve building safety across campus. That task force’s recommendations haven’t yet been released. Each building on campus sets its own rules regarding things like sleeping and restroom use, and Camputaro said there are no rules in the HUB’s draft that don’t already exist somewhere on campus. The rules in the HUB are not designed to keep homeless people out, Camputaro said, but to keep people from bringing in sleeping bags and creating a campsite, or from using the bathroom for showering. It’s a response to what Camputaro said is an uptick in incidents where students felt unsafe in the last year or two. Some at UW are worried this could snarl up their efforts to help the University District’s street youth. Josephine Ensign, a nursing professor and well-known author on poverty and homelessness, heard about the HUB’s rule change while she was planning an upcoming event for homeless youth in the HUB. It is part of the Doorway Project, a state-funded partnership between UW and local social workers to create a community space in the U District for homeless youth. Homeless youth already navigate their way around the U District — through places they feel more welcome, like Starbucks, or less welcome — and staff at ROOTS, a youth and young adult homeless shelter on The Ave, said this change would just mean one more place they can’t sleep. Shawn Vague, 23, sleeps at ROOTS most nights, but isn’t worried about the HUB’s rule change. On Thursday, when Officer Ellis stopped by to say hi, Vague was doing what he normally does in the HUB — sitting at a table and watching YouTube videos. “I normally don’t do any of those things (the rules will prohibit),” Vague said. It’s hard to get a good night’s sleep at any shelter, and youth at ROOTS have to be out at 7:30 a.m. Many head to the HUB to sleep, according to Kayla Guay, case manager at ROOTS. They can sleep at ROOTS during drop-in hours in the afternoon, but the place is often bustling with activity. 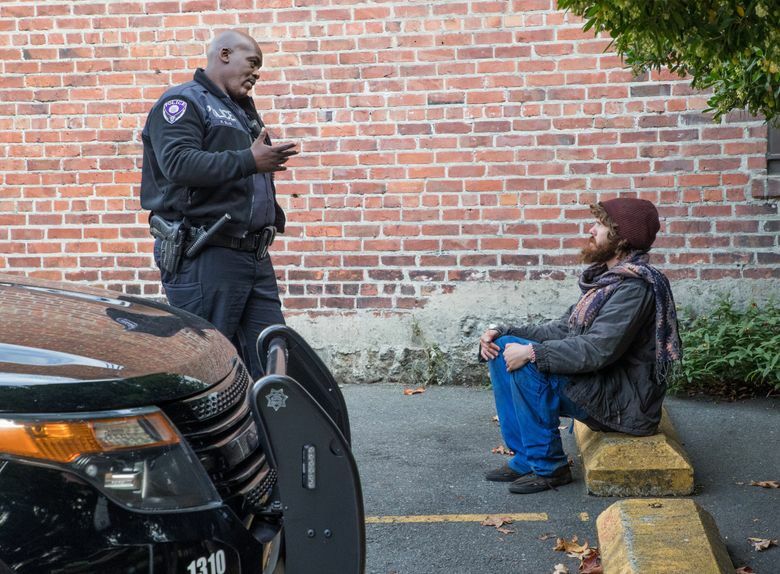 In the end, UW needs to be a long-term solution to this problem, thinks Rachel Fyall, faculty chair of UW’s Homelessness Research Initiative and a lead in the UW homelessness survey. “Nobody wants students sleeping in the hub because they should have a safe, stable place to sleep,” Fyall said.